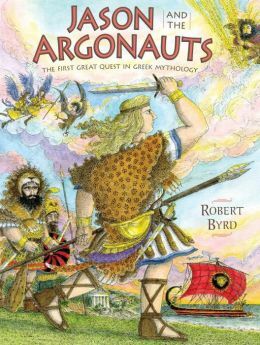 The story of Jason and the Argonauts is one of the earliest recorded Greek myths. Here, master artist Robert Byrd has created a striking telling of the legend for a new generation of readers. Complete with explanatory notes and illustrated back matter, Jason and the Argonauts traces each step of our hero's journey, from the Golden Fleece's origin story and Jason's childhood to his triumphant return with the prize and eventual death. Deftly designed to accommodate glorious large pictures and captioned insets, the book is not only a great story, but a wealth of information about ancient Greece.